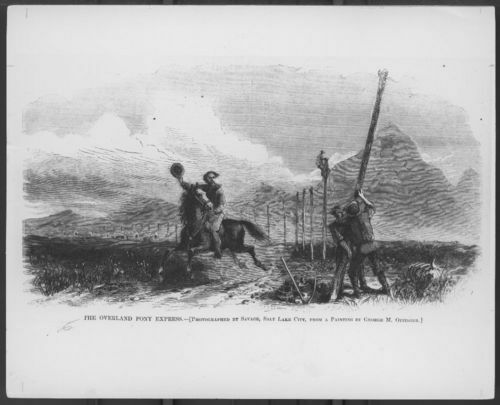 Photo of a painting of an Overland Pony Express rider passing men installing poles in the ground, unidentified location. The poles may support telegraph wires. Photographed by Savage of Salt Lake City, Utah Territory, from a painting by George M. Ottinger.